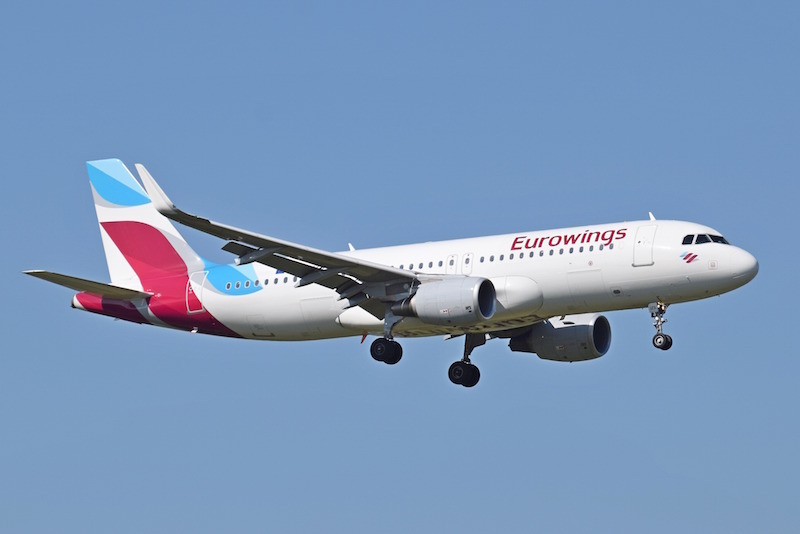 Eurowings is pressing ahead swiftly with its recent decision to set up a new base on the Balearic island of Mallorca. The airline specialising in low-cost direct flights, which is part of the Lufthansa Group, has just released the first scheduled flights for booking which are to be operated by two Airbus A320 stationed at the airport in Palma de Mallorca. Specifically, these are new flight connections to Leipzig, Dresden, Karlsruhe/Baden-Baden and Nuremberg. In addition, the aircraft stationed in Spain will be used to operate the two existing routes from Palma to Salzburg and Dortmund more frequently. These new flight connections are also available for booking now. Eurowings will then operate the Palma – Leipzig route up to seven times a week from May 25th, 2017, the Palma – Dresden route up to five times a week from May 28th, the Palma – Karlsruhe/Baden-Baden route up to six times a week also from May 28th and the Palma – Nuremberg route also up to six times a week from May 31st, 2017. The airline announced only a few days ago that it was taking the next step towards pan-European expansion and would be opening its first base in a non-German-speaking foreign country in Palma de Mallorca, one of Europe’s largest tourism markets. The Spanish island in the Mediterranean has long been seen as a top holiday destination with guaranteed sunshine far beyond Germany’s borders and has been breaking one visitor record after another for months. Eurowings will position itself as a key player at this airport and from May 2017 will initially station two aircraft on the popular sunny island. In future the airline specialising in low-cost direct flights, which is part of the Lufthansa Group, will offer connections from Majorca to Germany and other European cities, thus significantly expanding the existing route network of more than 130 destinations in total.